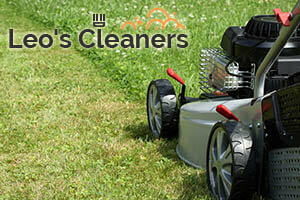 For the past twenty years, we have been providing exceptional lawn care to hundreds of home and business owners. We started as a small company, but through hard work and diligence, we managed to gain the trust of our customers. Today, we service thousands of properties in the Chiswick W4 area, offering premier grass cutting, our customers simply cannot resist. 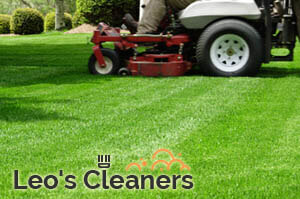 We charge sensibly, offer no-obligation quotes, and work with a team, consisting of seasoned professionals with years of experience in the lawn care business. As you can see, there are numerous reasons why you should give our skilled lawn care specialists the go-ahead. Having a nicely kept, neat and dense lawn is the surest way to make a good impression in your neighbourhood or attract more customers if you are running your own business. Over the years, we have build a relationship with customers that is based on trust and respect. We like to keep it that why, which is why we always begin with a free consultation to set the estimated cost for our service in advance. The price is flat and depends on the size of the lawn that is to be mowed. Once the grass is reduced to the desired height, our detail-oriented gardeners will trim around the lawn’s edges, around walls, fences and pathways. Should they encounter any bare spots, they might suggest re-turfing. The grass might also require fertilisation to ensure it grows healthy and dense just like it’s supposed to. Spare yourself the time and efforts that lawn maintenance requires by booking our grass cutting services, available throughout W4 London and the vicinity. Your satisfaction is our main priority!